Kawai Piano Corporation is globally respected for their reputation in building the finest quality upright pianos. Presenting several models of size and cabinetry, each is built with Kawai’s focus on quality and stability. Several of the Kawai upright pianos have been awarded “Piano of the Year” for several years. While all feature quality scale designs and solid spruce soundboards, many also incorporate the world acclaimed Millennium III carbon fiber action. Performance, Touch, Tone, and Stability combined makes for a quality line of pianos. Kawai also includes at no additional charge a “Full” (not Limited) warranty. This warranty provides great protection for 10 years. This is the highest form of warranty protection authorized by the United States Government. All other piano brands offer a “Limited” warranty. Learn more about the difference in FULL and LIMITED warranties at US Federal Trade Commission. 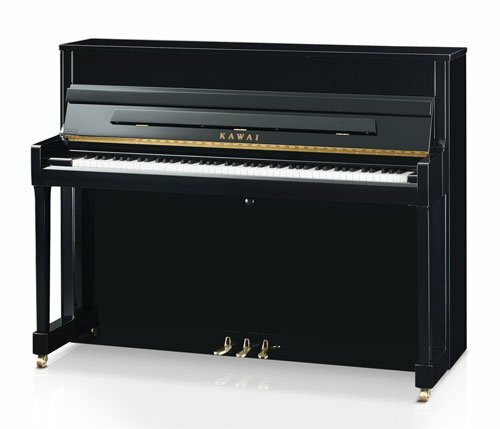 Teachers, schools, churches, and pianists choose Kawai more than any other piano because they know Kawai Pianos are quality built with quality touch and tone combined with the best overall stability of any piano manufactured today.